Okay, yes, this is an incredibly silly thing to base a news report on, but please try to remember that these people live in Huntsville, Ala., where the current temperature being 20 degrees is probably making a lot of residents feel like they have been transported to some strange ice planet. It's a crazy time! 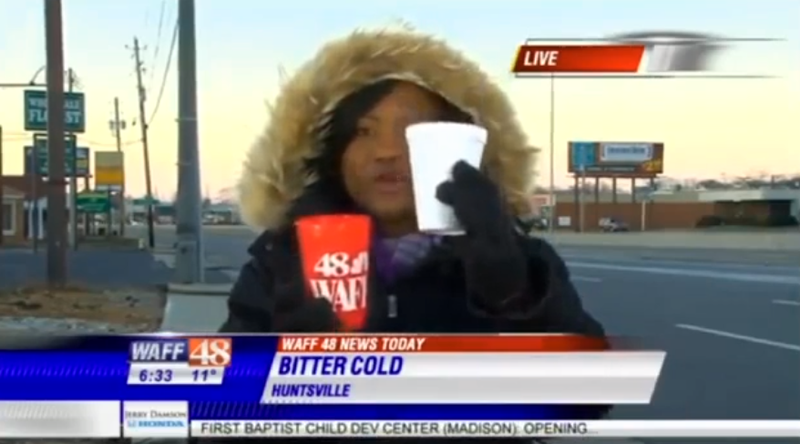 Please keep your water cups inside until this cold snap passes, people of Huntsville.